Situated in the Adugodi region of Bangalore, Hotel Royal Garden serves as a comfortable and peaceful stay away from home. 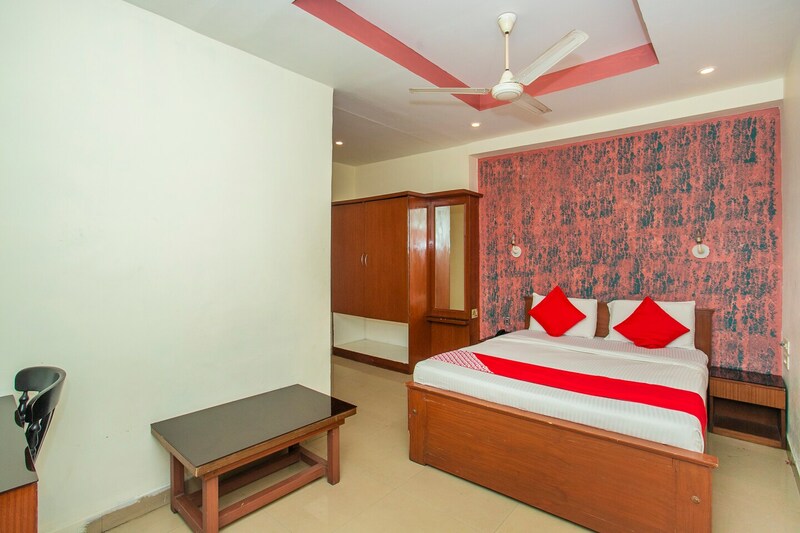 The rooms of the hotel are spacious and well-designed with a single bright coloured statement wall bringing life to the room. The wooden furnishings including a wardrobe, desk and a chair. The tiled bathrooms are colour-coordinated, adding to the overall appeal. The hotel also offers a well-lit seating area surrounded by full-length windows, free WiFi connectivity and accepts card payments. A CCTV camera setup is also in place for security of the guests, and elevators are also available. The hotel is located close to several restaurants and fast-food joints.